BE KIND made the New York Times picture book bestseller list. It's spent nine weeks on the list so far, peaking at No. 4. Will there be more weeks to come? Who knows? Sponsored by the Society of Children’s Book Writers and Illustrators (SCBWI), the award was for the best picture book text of 2013. Here are the other winners in other categories. (P.S. They are amazing.) I got to go to Los Angeles and give a speech. Click on the image at the bottom of this page to hear what I said. This award, given by the Ezra Jack Keats Foundation, is for new writers whose work celebrates the diversity in our culture. See the other awesome honorees. This award is given for picture book writing and is presented by the Cooperative Children's Book Center (CCBC). It honors the work of Charlotte Zolotow, a distinguished children's book editor for 38 years with Harper Junior Books, and author of more than 70 picture books. My book was an honor book in 2014. See all the outstanding recognized books. This award is sponsored by the Friends of American Authors, a group that recognizes emerging writers. See the previous winners. Sponsored by the SCBWI, this award is voted on by SCBWI members in the Midwest Region. Here’s a look at winners from each region. Here’s a link to the incredible company she was in. 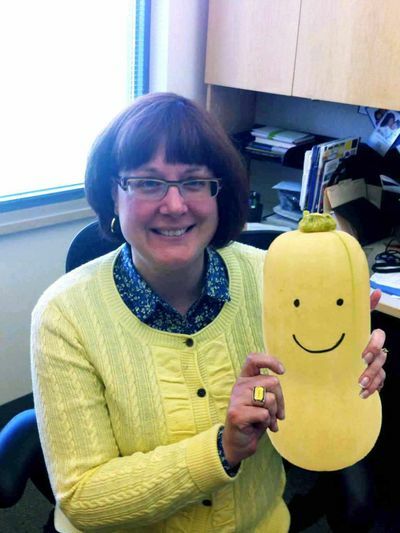 SOPHIE’S SQUASH was named a noteworthy title, along with five other books. THE YEAR OF BILLY MILLER by Kevin Henkes won the award. Here are all the winners. WHEREVER YOU GO and THE QUICKEST KID IN CLARKSVILLE have won Crystal Kite Awards for the Society of Children's Book Writers and Illustrators' Midwest Region. This award is voted on by other children's book authors and illustrators, so I am extremely honored to receive it. You can listen to me talk about it here, and see all the other regional winners here. BE KIND is a New York Times bestselling picture book. And, SOPHIE'S SQUASH earned starred reviews from Booklist, Kirkus Reviews, Publishers Weekly and School Library Journal. © 2016 Pat Zietlow Miller. All Rights Reserved.